Most small businesses are “unaffected” by the federal government shutdown that is stretching into its fifth week, according to a poll from the Job Creators Network (JCN). The JCN survey also questioned small business owners on the media’s coverage of the shutdown. Ninety-three percent said media coverage of the shutdown is biased against President Donald Trump. Less than 5 percent of respondents said the coverage was fair, according to poll data. “Small business owners believe almost universally that the news media is failing to present the story in a balanced way,” Ortiz said. The shutdown has affected roughly 800,000 federal workers. 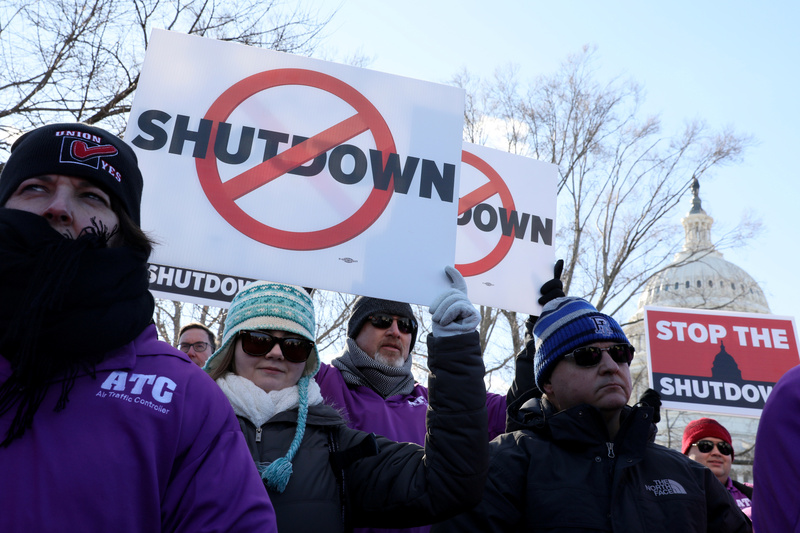 Federal worker unions are suing the Trump administration over the shutdown and Democrat lawmakers have taken part in several union protests to position themselves on the side of workers during the shutdown and in the lead-up to the 2020 election. Congress overwhelmingly passed bipartisan legislation Jan. 11 approving backpay to all federal employees who have continued to work through the shutdown even though their regularly scheduled paychecks have been interrupted. The federal shutdown will likely have a noticeable impact on the U.S. economy, and that impact will grow larger as the shutdown continues. Economists speculate the shutdown might end a streak of job growth lasting 99 straight months, the longest in U.S. history.